Being European, we will never understand Halloween, that stupid party. Although it remains an – inescapable – American event, we wouldn’t consider a book printed with blood a true Halloween-like publication. Probably dressed up dogs are much more suitable for Halloween, right? 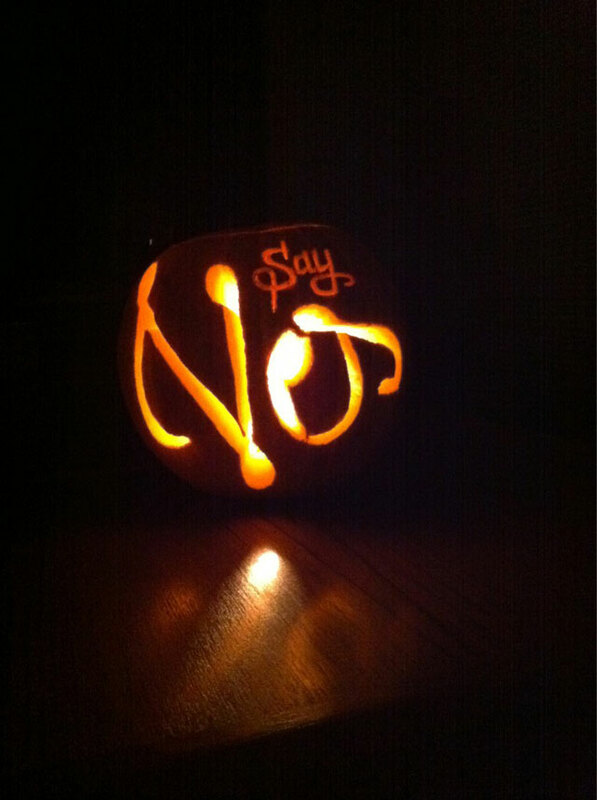 But our favourite typographic Halloween creation is made by André Mora, who spend some hours with his pumpkin to cut the Yes/No oscillator out. Unfortunately you can’t even eat this, so we’ll skip Halloween and wait for typographic Sinterklaas creations instead. Yummie.